Last week I covered how to do Paris in a day, today I take a more relaxed take. The second time we visited Paris, it was once again only for two nights (our flight home was from Paris) but we decided to take a more chill approach. Having already seen most of the big attractions we only had the catacombs on our list and pastries. Lots of pastries. Basically we just wanted to relax and indulge. After hosteling our way through Greece and Amsterdam, Carly and I were kicking ourselves for not splurging out a little on our last leg of the journey. But when we saw our room, all these concerns were forgotten. It was hostel heaven! We stayed at St Christopher's Inn, Gare du Nord which had only opened that year (2013) so it was clean, so clean. You could practically smell the fresh paint. Plus, there was plenty of power points to charge everything (by the headboard of each bed there were several) and individual storage areas. Both which were lacking in the places we had stayed at earlier. I am in no way being endorsed to say any of this, it was just such a welcome change from the hostels we had experienced prior to that. Besides pastries, we also had French Onion soup on our to-do list, so we picked our dinner venue based on if it had it on the menu. Luckily we found a restaurant making it not to far from our hostel. Our original plan had been to catch a show at the Moulin Rouge, but after discovering it would cost over 100 euro, and having already seen a cabaret show in Paris the previous year, we decided to pass. Instead, after dinner, we strolled and metro'd our way to the red light district to look at it from the outside, stopping on the way for some nutella crepes. Even though this was Paris, the relaxed edition, we woke up bright and early so we would be first in line for the Catacombs (we had missed out on seeing Ann Frank's house in Amsterdam because the line had been so long we would have missed our flight the same morning because of the two hour wait to get in). We stopped by a bakery that was near the Catacombs entry (of course, pastries were needed!) before taking our place in line at 8.50am, for a 10am opening (we were 5th in line). And thankfully we did get there early, because as it got closer to 10 the line began to go around the block. Being under 26, the entry fee was very cheap, less than 5 euro and being one of the first to go in meant there wasn't the usual crowded shuffle commonly associated with tourist attractions (although they do only let a certain number of people in at a time). 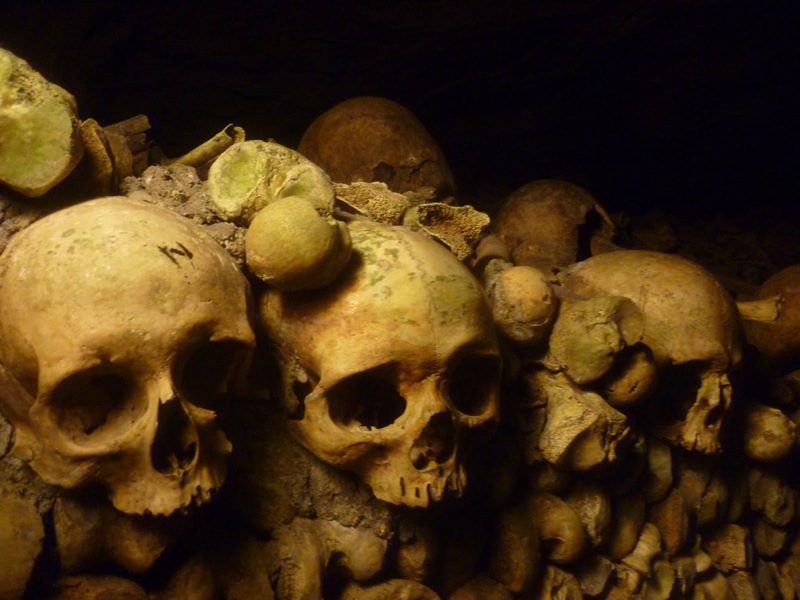 I'm weirdly a big fan of underground attractions, so enjoyed walking through the creepy tunnels, lined with bones. The weird thing is that when you exit you end up on some random side street, not good for the directionless like me. 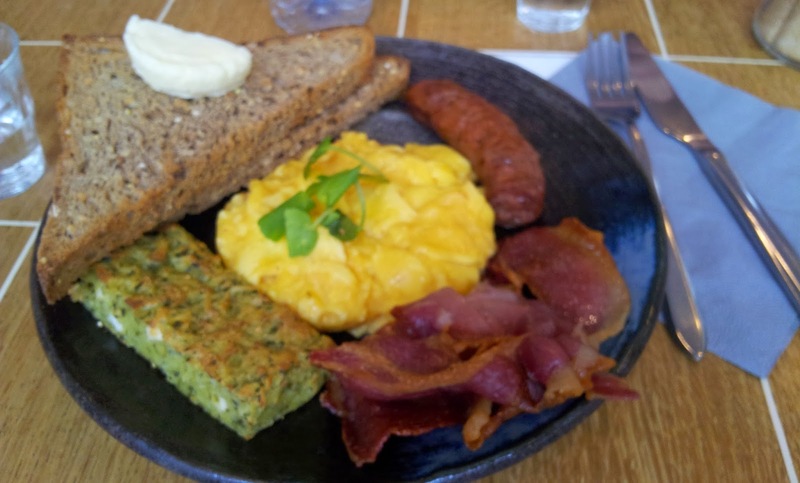 After being lost for a solid time, we manged to find our way to some friends and headed to Cafe Cotume, where after a 20-30 minute wait I purchased the most expensive plate of bacon and eggs. After our big breakfast, it was logical to follow it with a picnic (indulgence was a goal of Paris Take Two) so we stopped by a patisserie and a grocery store and loaded up with goodies for a picnic under the Eiffel Tower. Later that evening, we sipped champagne by the banks of a river (the banks were lined with people doing the same) before heading out for our final Parisian meal (unless you count the bakery treats with bought on the way to the airport the next morning). I completely loved my first trip to Paris, bursting with activity and attractions (in fact, I referred to it as a perfect day) but it was also nice to visit again, at a much slower pace with no agenda besides to indulge and enjoy. French Onion Soup! Divine!! I am so glad to read that you ladies spoiled yourselves in Paris - it's a must!!! 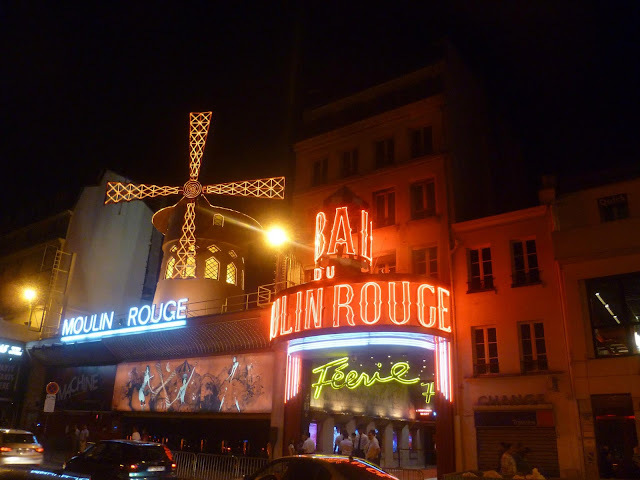 The shows are crazily expensive in Paris - I didn't do a Moulan Rouge but I did do one of the cabaret shows which was also pricey but SO worth it!!! Amazing experience and one that you'll never ever forget! I agree though that once you've seen one, you don't need to see another. It's awesome that you got to see a real slice of paris. Ann Franks house in Amsterdam is SO surreal and spooky - it literally sent shivers down my spine... the creaky tiny passageways and staircases.. the videos playing repeatedly and the encased history... it's definitely an amazing experience too and I'm sorry you missed it!